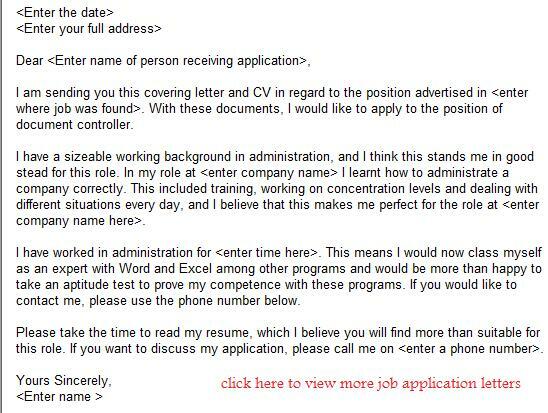 You want to apply for a Document Controller job in the UK and in need of a Document Controller job application letter example to write your own one. You can use following Document Controller covering letter sample for your job applications after editing the details and adding your contacts including the full address, telephone numbers and email address. How can I find Document Controller jobs in the UK? Visit the job sites online and start searching for them. There are thousands of vacancies are waiting for you to apply.